DETROIT RUNNER....: Marathon #3 - registered! Cross training on the schedule; decided to run today 5 miles instead since I have the day off and could run in the daylight. I gave myself a Christmas present yesterday. Registration in the 2012 Grand Rapids Marathon. 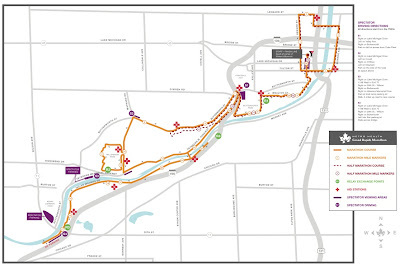 It's a smaller race(3,000 in the marathon and 2,500 in the half marathon) located on the West side of Michigan. The race director has the world record for finishing 7 marathons on all seven continents -- 25 days, 18 hours, 10 minutes. He's also run 229 races of at least the marathon distance! Incredible. You can read about it HERE. I can't wait to meet him. Congrats on #3. I got to run in the daylight to today. BOY it sure was nice to see where I was going and the sun even popped out. Tomorrow back to darkness. Me too Penny. Dark tomorrow. Hello! I recently stumbled upon your blog. 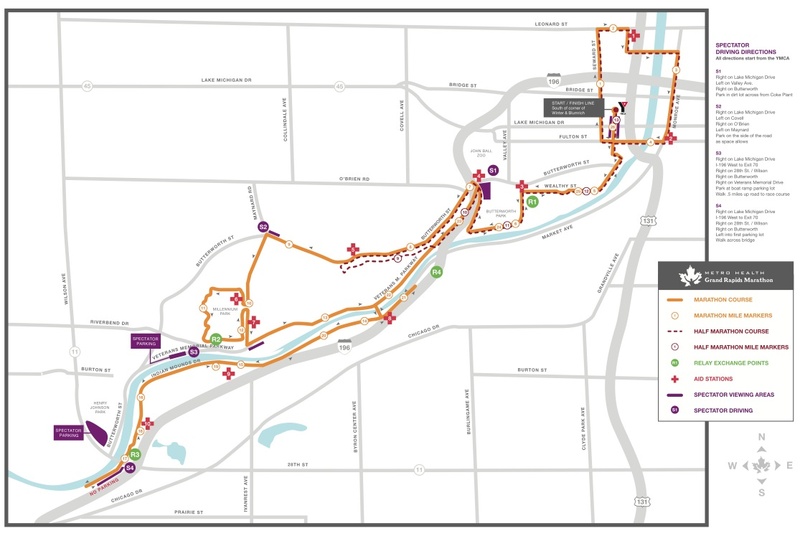 I have run Grand Rapids 3 times (full twice and half once). It's a great marathon! The race director is right there on the finish line hugging everyone who crosses! The Holiday Inn Express on Pearl St. is walking distance; it's nice and very close. Take the race director a beer from a local brewery!